One may be surprised to hear, data collection and research is not simply a matter of collecting data and searching. The work of a researcher – or in this case – a Chinese outbound tourism researcher, involves much more than simply googling “Chinese arrivals in…” and checking data provided by a particular national authority or statistical institute. 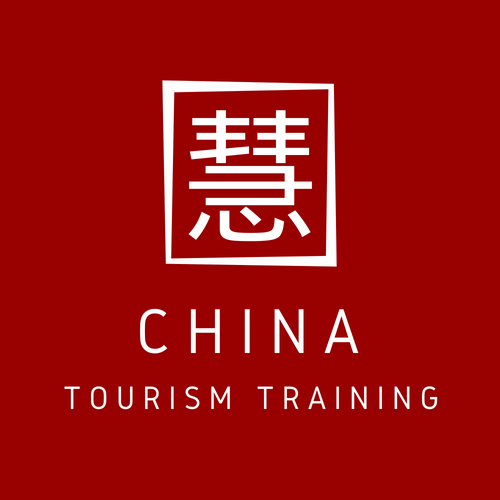 While getting hold of reliable Chinese outbound tourism statistics is continuing to become increasingly important, there is still a great deal of confusion when it comes to the accurate application of data. As an example, let us look at Italy’s Chinese tourist figures. According to the Italian National Institute of Statistics (ISTAT), more than 3.3 million Chinese visited “Bel Paese” in 2016 alone. At first glance, this number looks rather impressive for a long-haul market, especially when compared to statistics from European competitors such as France and Germany, which recorded 1.8 and 1.4 million tourist arrivals respectively in the same year. However, exploring the database in more detail, it appears that the figure is simply the sum of arrival numbers to Italy’s twenty regions, rather than a systematically calculated total for the country as a whole. How is this different, and especially, relevant, some might ask? If for example we consider the typical scenario of a single Chinese tourist, let’s say Mr. Chen spends a night in each of Venice, Florence and Rome in a single trip, he will correctly be counted as 3 Chinese overnight stays in Italy. However, since arrivals data is also calculated from hotel guests in Italy, Mr. Chen will be recorded as a Chinese arrival to the whole country by each of the regions he visits. This means he is incorrectly calculated as three separate Chinese arrivals to Italy! While Italy’s difficulties can be partly attributed to a lack of a strong centralised tourism board and the corresponding strength of its regional bodies in tourism promotion, it is not the only country to struggle with obtaining accurate data on tourism arrivals. For example, in 2015, the British International Passenger Survey recorded 270,000 Chinese arrivals, while UK visa applications from Chinese nationals totalled almost 500,000 that same year! Accordingly, the method of data collection can also determine inaccurate estimations and therefore create confusion. Going back to Italy, on top of its problems at the national level, its membership of Europe’s borderless Schengen zone presents another challenge for number watchers. As opposed to the UK, which can generally rely on visa applications as indicator for arrivals data, tourists with a Schengen visa can move unchecked between 26 countries. Although Italy does have its own visa application centres in China, it is important to remember that almost all other Schengen states do too. In 2014, Schengen visas issued by Italian visa application centres accounted for around 20% of the total made in China, however, in 2016 this had decreased to around 15%. This reflects the changing patterns in visa distribution following the continued opening of application centres by other countries throughout China and the continually growing interest in emerging destinations, such as Finland, Czech Republic and Hungary. Chinese nationals holding Schengen visas issued by application centres belonging to these countries can nevertheless cross seamlessly into Italy. This means that data surrounding visa applications is becoming an increasingly unpredictable indicator for Chinese tourist arrivals. The Ministry of Foreign Affairs announced that preliminary data for Italy shows a 33% decrease in visas released in 2016, followed by the debatable claim that “it should correspond to a similar decrease in arrivals”. At the same time, in 2016 overnight stays made by Chinese nationals in Italy reached a record high of 5.8 million, up 400,000 from the previous year. How can we come to reasonably reconcile these two apparently contradicting pieces of information? While it is true that Chinese arrivals to Europe in 2016 did slightly drop against the shadow of terrorist attacks, it is also true that Italy was not directly involved in any of such high-profile events. Accordingly, it is reasonable to assume that Chinese tourists spent, on average, more nights in Italy than usual as they tried to avoid typical multi-destination packages involving “high-risk” countries. This trend is also supported by information recently released by Ctrip, China’s biggest Online Travel Agency, which reported that in the first quarter of 2017, the 10-day “Italy-only” package was chosen by 22% of those going to Italy. The above Italian case is the perfect example of how partial data can mislead and serves as a reminder that data watchers must keep an eye on the bigger picture when analysing national tourism statistics.